Artist Tyler Lotz takes inspiration from his forays into nature to create his sculptures. This work was inspired by a visit to a canyon in Colorado. This close up view of a sculture reveals the color and glazes Lotz selects to create his works. Tyler Lotz also creates wall-hanging works to go with the free-standing sculptures. Look closely at this piece and you'll see Tyler's fingerprints preserved in the ceramic. Influenced by natural and mediated landscapes, Lotz works in clay, looping and bending forms, slathering them in color and glaze. The pieces are inspired by his forays into nature. The results veer toward abstract, rather than strict recreation. Lotz has found inspiration in geological formations around the country, Colorado and Montana, in particular. The feelings that impact Lotz as he is out in the landscape don’t specifically translate to the work that he creates in his studio. Lotz embraces collage form in his sculptures. Included in the free-standing sculptures on display in “Traverse,” Lotz is showing wall-mounted pieces. The challenge with the free-standing pieces, said Lotz, is that he must consider every angle of the piece as he is creating it. In addition to the sculptures of Tyler Lotz, “Traverse” also features new works by artist Megan Kathol Bersett. The show is up through Feb. 15. Tyler Lotz discusses his work and inspiration. Maybe you’ve seen the new Netflix show Tidying Up With Marie Kondo. Maybe you’ve even been inspired to declutter your own home. Turns out, you’re far from alone. 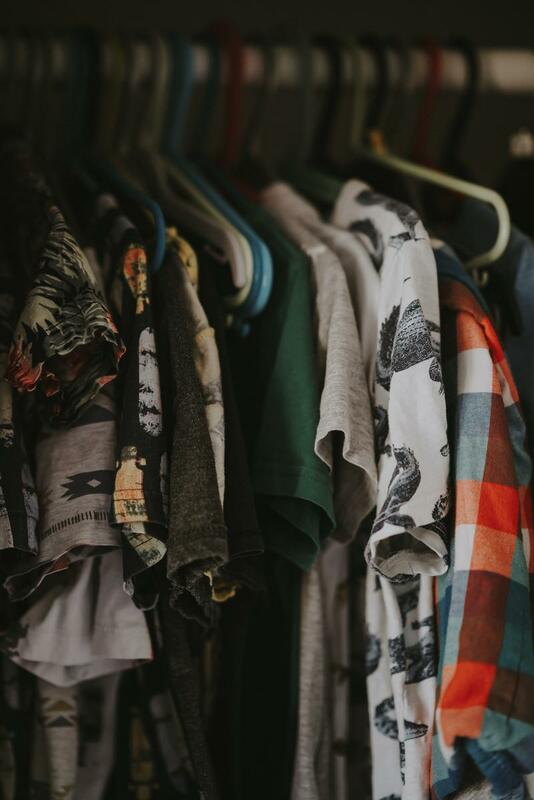 Lots of people have been tidying up unwanted items this month, and secondhand stores are seeing the results. On the show, Kondo encourages viewers to declutter their homes by getting rid of things that don’t “spark joy” for them.